Just in time...another new grass, student at work, and more! Getting the job done and supporting a great cause at the same time is good thing in our book. 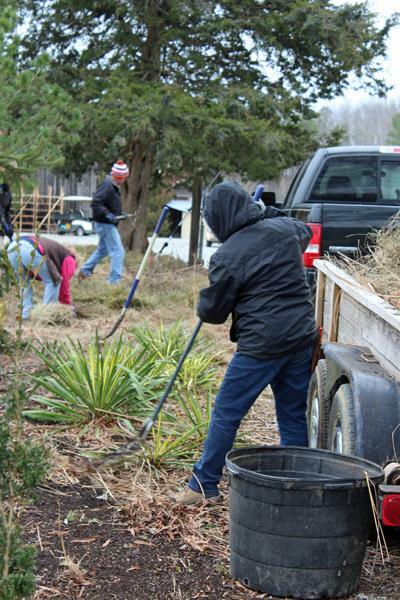 This winter, horticulture student groups from Alamance Community College in Graham, NC, Sandhills Community College in Pinehurst, NC, and North Carolina State University in Raleigh, NC joined us for workdays at the nursery. They helped cut back grasses and perennials in our gardens and in the greenhouses. They also worked with our shipping and growing teams to knock out a few big jobs quickly. At the same time, they earned funds to attend the National Collegiate Landscape Competition (NCLC) in March. They also got a tour of the nursery and learned more about the inner workings of production, growing, and shipping. A big thanks to the students and their instructors for their help! To learn more about the NCLC and why it's such a worthy cause, see the "Upcoming Event" section below. When we give presentations, people always ask questions about managing grasses in the landscape. When should they be cut back? When is the best time to plant? We’ve been growing grasses for decades, but there are always new questions about working with them in the landscape. In March we launch a monthly blog series called Landscape Journal. Written for landscape professionals, it will be devoted to managing grasses and sedges on the ground. Keep an eye out for timely advice, plants to know, and input from experts in the trade. Have an idea or question you'd like to see in Landscape Journal? Drop us an email at grasssolutions@hoffmannursery.com. NEW! - This Switchgrass has been charming visitors in our garden for years. Its origins are uncertain, but the overall appearance is one of the best we’ve seen in a Switchgrass. So, we’re introducing a new cultivar called ‘Summer Sunrise’ to the trade. 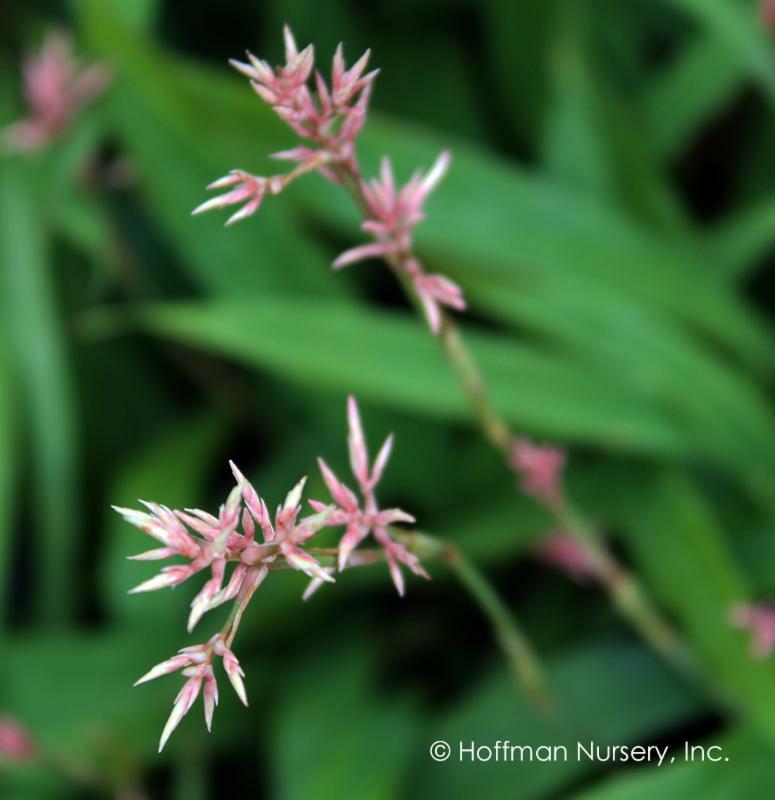 This beauty produces a dense cloud of soft pink seed heads that rise just above the foliage. The inflorescences catch the morning and afternoon light and echo the colors of a summer sunrise. On the foliage, one side of the blade is darker than the other, which makes 'Summer Sunrise' especially cool in motion. And we're found it to be resistant to rust in the landscape. In our January newsletter, we asked which of the newest selections below was your favorite. 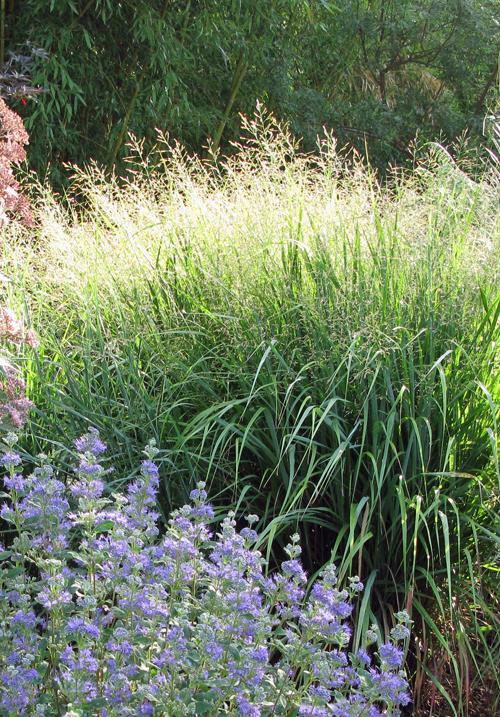 It was neck and neck for a while, but with a final 41% of the vote, the favorite was Lumen Gold Fountain Grass. We love them all, so here's another look! Which of these topics would you like to see more of in GrassSolutions? Exposure to salts, either in coastal environments or along roadsides, can stunt growth and even kill plants. Many grasses can tolerate exposure to salts, especially species native to coastal areas. Based on several sources, we have compiled a list of grasses and sedges we grow that are reported to be salt tolerant. It's an appealing mix of native and introduced species, from short to tall, and with different habits. One interesting study we found looked at species that could be maintained as turf grass along highways in Maryland. A number of native grasses made the grade based on their salt tolerance and overall performance. 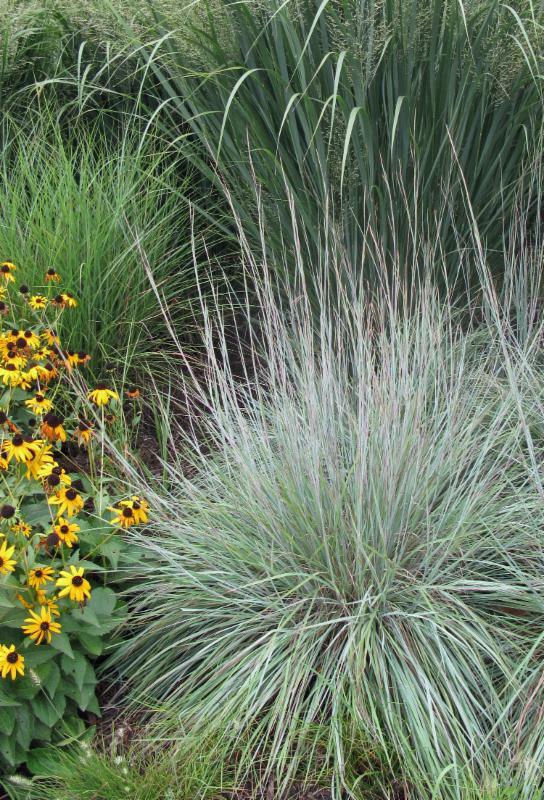 Some of our favorites got top marks, including Little Bluestem, Prairie Dropseed, and Blue Grama. See our post on salt tolerant grasses. Little Bluestem is one of several grasses that tolerate salty conditions. 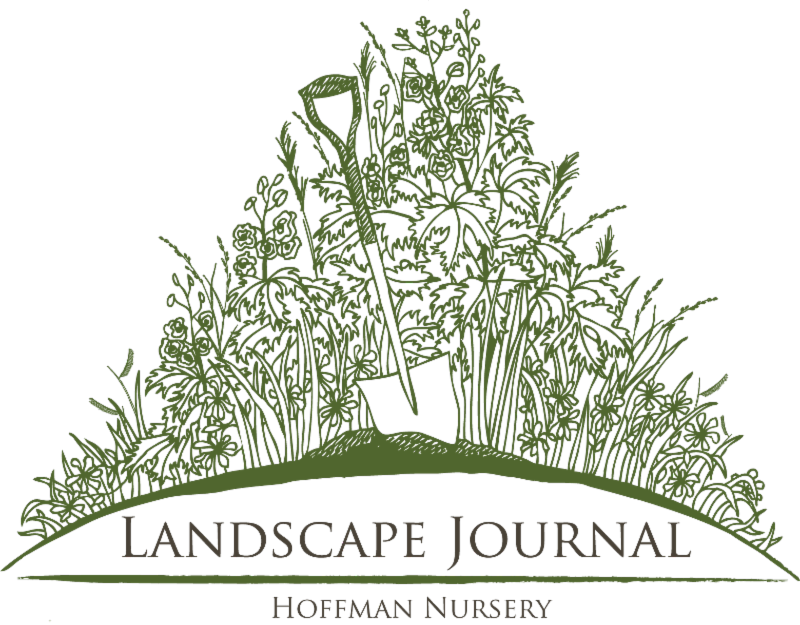 Surrounds Landscaping in northern Virginia recently interviewed us about using sedges in the landscape. 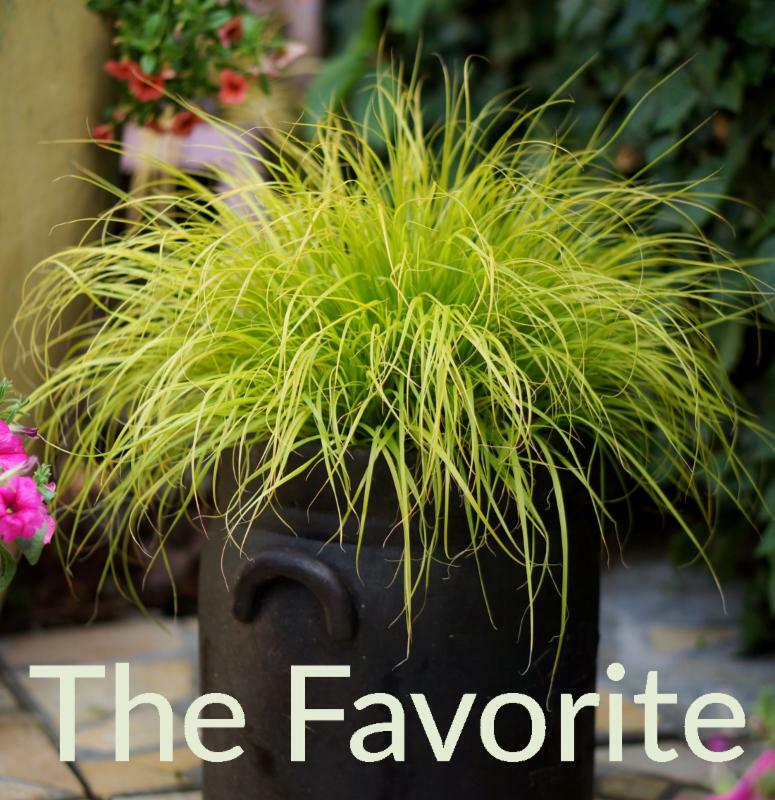 They posted this article introducing their clients to the beauty and utility of of some of our favorite sedges. 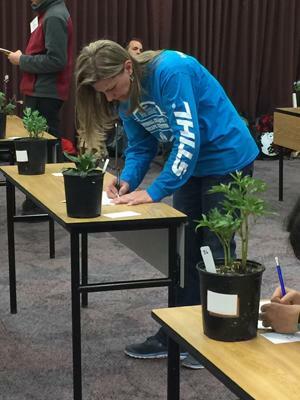 Hosted by the National Association for Landscape Professionals (NALP), this annual competition and networking event involves horticulture students from across the country. We are very excited that this year's competition will be here in North Carolina at Alamance Community College. As in years past, Hoffman Nursery will sponsor the Annual & Perennial Identification event. We've been involved with this event for several years and continue to marvel at the enthusiasm and interest we see from students. See you there! The Perennial Plant Association's annual symposium is devoted entirely to perennials. Enjoy learning about and seeing perennials, gardens, retail garden centers and production facilities in the horticulturally vibrant Raleigh-Durham, North Carolina region. Join us for days filled with tours, talks, and compelling conversations. It's a chance to learn from experts in the industry and exchange ideas with everyone from nursery owners to landscape architects. 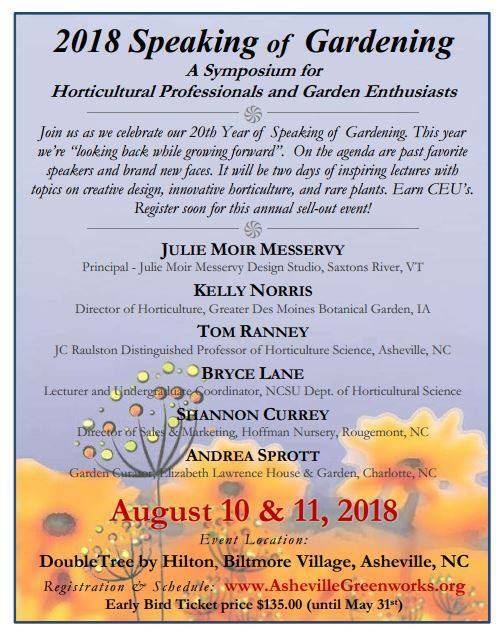 Hoffman Nursery will be on the tour, and our team is helping make this a symposium to remember. We hope to see you there! In their 20th year, the Speaking of Gardening symposium is the place to be this summer. On the agenda are past favorite speakers and brand new faces. This year they're looking back, growing forward, with two days of inspiring lectures on creative design, innovative horticulture, and rare plants. This two-day symposium includes book signings, plant auctions, sponsor displays, lunch, making new friends and catching up with old ones. 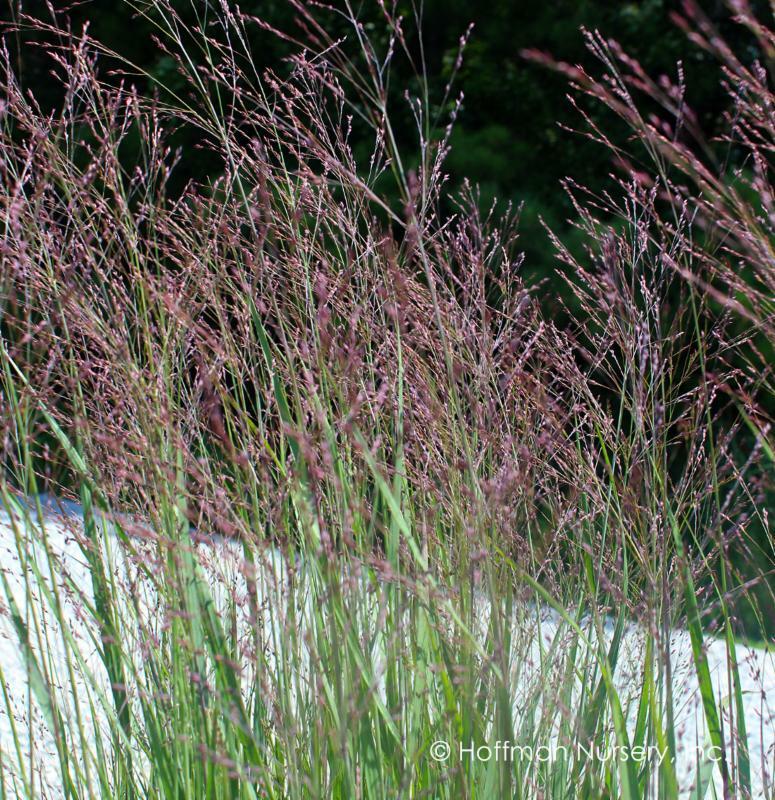 Hoffman Nursery's Shannon Currey will give a talk at the symposium on "New Perspectives in Ornamental Grasses." Mark your calendar now for the 11th Eastern Native Grass Symposium. Get the latest from renowned presenters, best management practices, and field tours. It's a fantastic, multidisciplinary look at our native grasses.